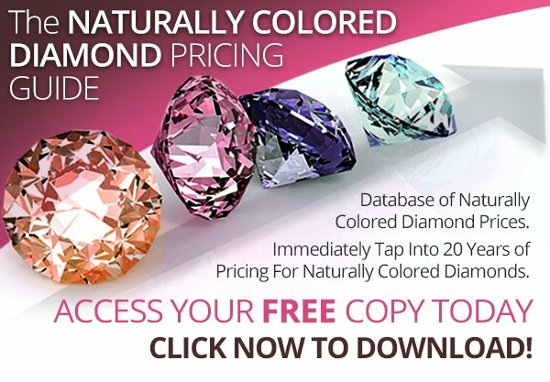 The colored diamonds industry was full of updates, insights, and discover this summer. This month, we take a look at the price growth of pink diamonds, new information on the origin of blue diamonds, and some of the best auction sales in August. Without further delay, let's begin. For decades, scientists struggled to find the origin of blue diamonds. It was known that their color was due to Boron in their structure, but never understood how it happened. In the recent study, it’s found that blue diamonds are formed in deeply subducted oceanic plates, roughly four times deeper in the earth than most other diamonds. Click here to learn more about the study. Did you know that a recent report from the Fancy Color Research Foundation states that smaller colored diamond sizes are leading the way when it comes to prices? 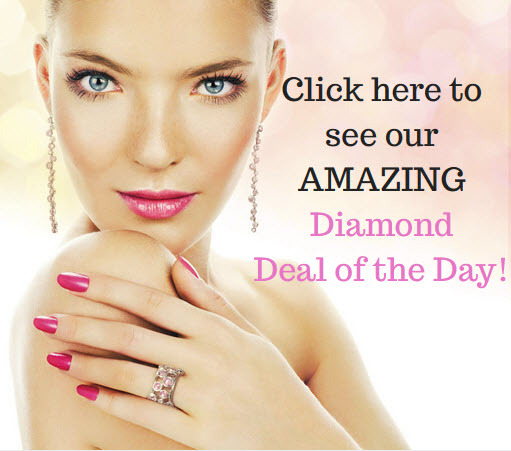 The organization states that prices increased for 1-3 carat pink, blue, and yellow diamonds. Click here to learn more. The Letseng mine is one of the top producing diamonds mine in the world. Earlier this month, the company announced it has found its 12thstone weighing over 100 carats. Although most these stones are colorless diamonds, the mine has also produced notable colored diamonds including pink and blue diamonds, selling for over $600,000 per carat. Click here to read more. Continuing on the updated news about mines, the Lucapa Diamond Company updated the world in a recent press release on their ongoing bulk sampling program. Diamonds recovered include an 89-carat yellow diamond, a separate 25-carat yellow diamond, and a 3-carat pink diamond among others. Click here to read more. Claus Vollrath is a renowned designer in the colored diamond industry. One of his newest pieces, which features yellow and white diamonds, is scheduled to be auctioned on August 29th. How much do you think the piece will sell for? Click here to learn more! Yosemite National Park is best known for its finders keepers policy. If you find a diamond in the park, you get to keep it. This attracts tourists from across the world. Due to the recent fires, the park had to close for nearly 3 weeks. Click here to read more about what it meant for tourists. Although these stones aren’t colored diamonds, Piaget’s Sunlight Escape collection, which was released earlier this year, features some of the most stunning emeralds and sapphires. Click here to check out the collection! Do you have that one friend that comes up with the craziest ideas? Hopefully, you’re not this guy… The GIA recently identified a green colored diamond that was supposedly glued back together. Due to the break, the 4 C’s doesn’t apply to the stone, therefore making it ungradable. Click here to learn more about the stone. Records are meant to be broken, right? Sotheby’s most recent auction in Australia, the Important Jewels and Watches, became the highest total sales auction for jewels and watches this past month. Items included colored diamonds, watches, and more. Click here to learn how much Sotheby’s made! Arpège Diamonds is committed to providing industry trends and information for those who appreciate colored diamonds both for their beauty and their value. 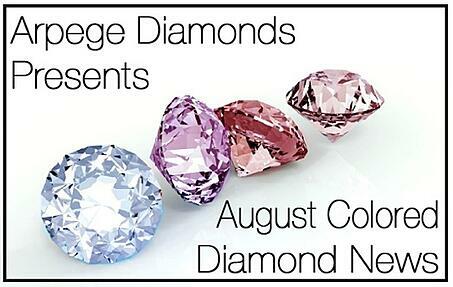 Feel free to contact us at 866-821-5508 to learn more about investing in fancy colored diamonds. Do you have any questions? Let us know. And as always feel free to follow us on Twitter and LinkedIn.